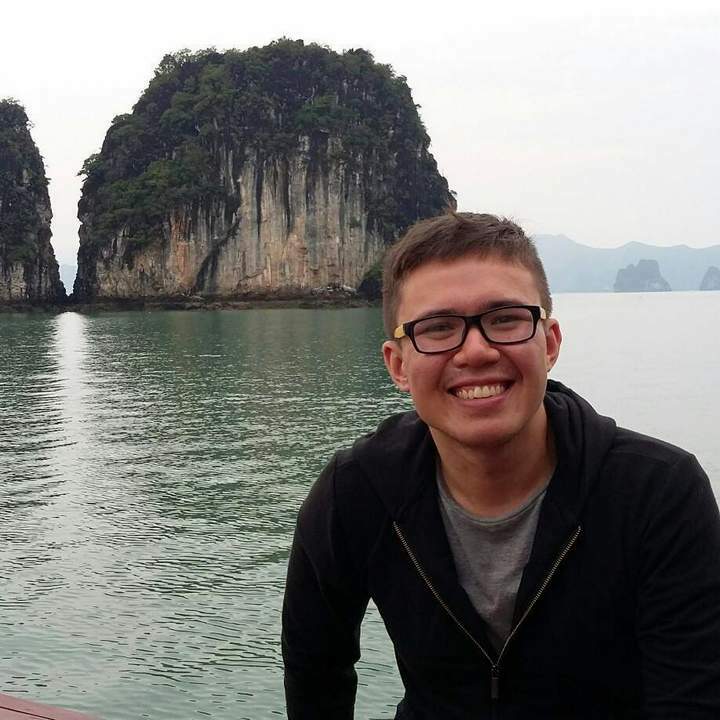 Episode 4 of Insider’s View comes from a guy who came to Saigon to teach and loved it so much he wants to tell the world. Andy Headspeath (AKA Andy Goes to Asia) has some great tips below and his enthusiasm is catchy. My name’s Andy and it’s a bit complicated. My mother is Filipino and my father is Scottish. I was born in the Philippines and grew up as an expat kid in Saudi Arabia. I could go on but we’d need a sit-down and a pint. I arrived on March 10th 2014. So if my maths skills are correct that makes it coming up to 18 months! I make a living from working as an ESL Teacher in Ho Chi Minh City, having undergone TEFL training and putting my English Literature degree to some good use. It’s an occupation I’ve really come to appreciate as it allows me to engage with locals as students and colleagues, and the flexible hours allow me to focus my energies on my main passion – the blog. My website is called Andy Goes To Asia. It’s a travel blog detailing my experiences as an expat and a traveler. 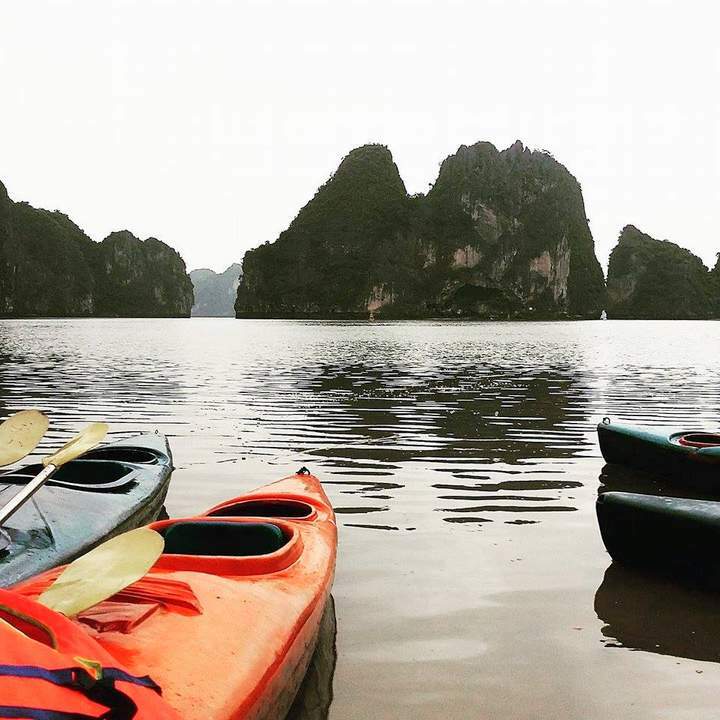 This is definitely a site for anyone interested in making the move to Southeast Asia, or wanting to do a bit of traveling. 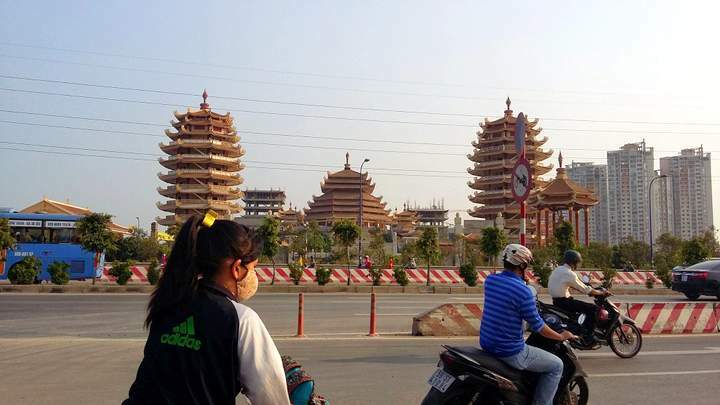 It’s supposed to help you see Vietnam as I, and many other expats, see it – with all the nitty gritty stuff left on display. There’s advice and entertainment to be found. During my time in Vietnam I’ve written about motorbikes, drag queens, v-pop music and other slices of life. The focus is more on storytelling – I like to adopt a casual, unpretentious voice and invite my readers to roll along for the journey. You’ll see a collection of these stories compiled on my homepage, complete with photos that I’ve taken and edited myself. In all honesty – a quick Google search. I was in a bit of a rut post-university, having moved to my parent’s house in a small Scottish town and working bar jobs. The skills I had gained from studying and all of my extra-curricular endeavors hadn’t been put to any use. I wanted to live authentically and see the world. So, I saved some money, bought a TEFL course and the rest is history. 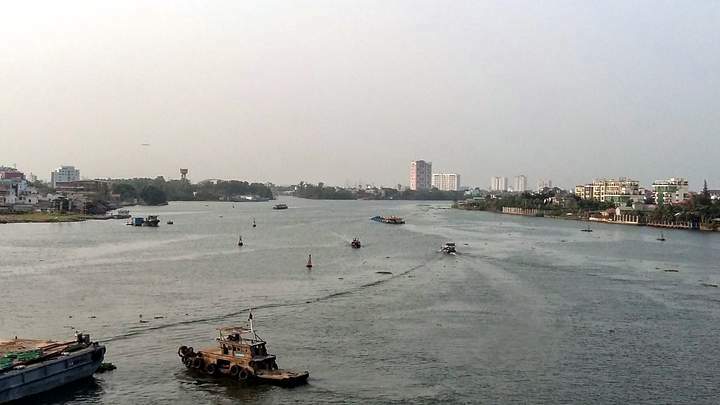 Ho Chi Minh City, as the online blogs I had read had promised, offered a high quality of life (for expats) and close travel opportunities – now that I live here, I can see that it offers so much more. It’s accessibility. You can hop on your bike and stop for anything that takes your fancy – whether it’s a bowl of streetside noodles or a haircut. 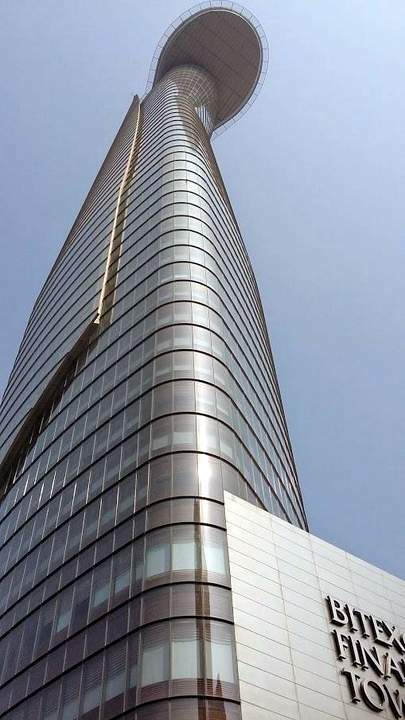 Everything can be negotiated, and even though they exist for good reasons, the contracts and stipulations of the Western world are few and far between here. You don’t have to sign your life and half your house away just to buy a pair of glasses. There’s a freedom in that. There’s a lot – road traffic, sexism, corruption, a lack of distinct manners, people skipping supermarket queues. I could go on. You can’t avoid them, but I suppose first-time visitors wouldn’t have time to notice any of these at first. Apart from the traffic obviously. Without a doubt Mi Quang. It’s a Central Vietnamese noodle dish served with a bit of broth, flat noodles, shrimp, mystery meat, a quail’s egg, peanuts and some vegetables and a rice cracker on the side. A Vietnamese friend of mine suggested I try it as I was heading to Da Nang at the time (and it’s Da Nang’s signature dish). I tried it once and have been stuffing it in my face ever since. 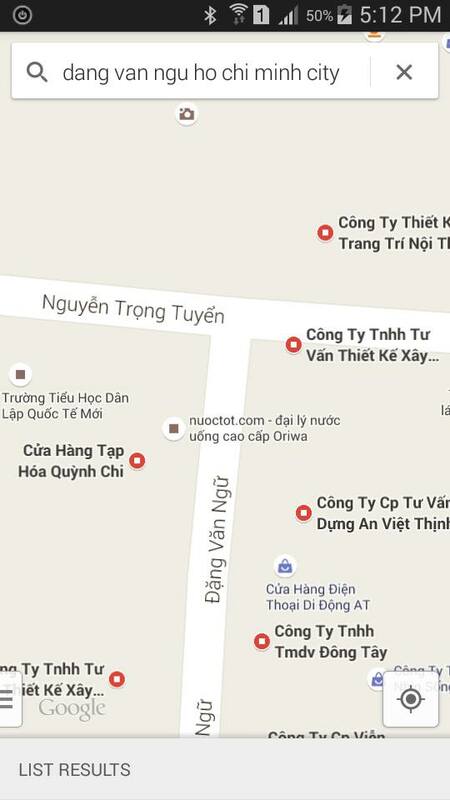 The best Mi Quang place in Ho Chi Minh City is Mì Quảng Thu Bồn at the intersection between Dang Van Ngu and Nguyen Trong Tuyen street in Phu Nhuan District, right where the roads meet (on the Nguyen Trong Tuyen side facing Dang Van Ngu). It’s owned by a local family and headed by a very friendly, headstrong mother of two. Sit down and she’ll adamantly scoop some chili jam into your bowl. The View at The Duc Vuong Hotel is a great rooftop bar that gives lovely panoramic views of the city and cheap drinks. You can’t go wrong with 18,000vnd Saigon Reds and a group of friends. I love hopping on my bike and exploring the city. If you’re brave enough I suggest renting one and just driving around the districts. Each one is different from the other and there’s always cool new cafes, sights and sometimes activities to try. You may even find yourself invited over for a streetside beer with a bunch of locals – because why not? Know a little Vietnamese and you’ll be adored. Try Mi Quang, Hu Tieu, Bunh Thit Nuong, Ban Xeo and Ca Phe Sua Da. These are the cream of the local food crop. Take a day trip to Dragon Lake. Rent a motorbike and explore. Especially good if you plan on staying a longer amount of time – the more you stay, the more you’ll see. Have a beer/coffee with the locals! They are some cool peeps with a lot to talk about. Check out the nights on at Saigon Outcast or Decibel – they do some good live music, film nights, art shows and other events. Never wear a strap handbag ladies. Especially on a motorbike. At the very least keep it in the bike or close to you. A little vigilance goes a long way! What’s your NUMBER 1 Ho Chi Minh City Highlight? Having a set of wheels as my legs, a concrete labyrinth to explore and a group of friends to do it with. Even though it may be overwhelming, give the city a chance. 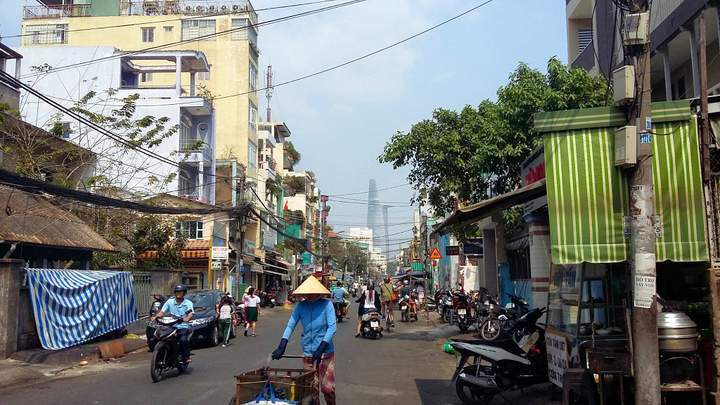 There’s a lot going on in Ho Chi Minh City beneath the buzzing surface. And that’s why we love it. Editor’s note: Every time I do one of these interviews it reminds me why I love Saigon so much. Hope you enjoyed Andy’s tips and make sure you duck across and check out some of his stories on AndyGoesToAsia.com. He tells a great tale. If you’d like to contribute to this regular series then drop me a line through the contact form or email me at Sharyn@hochiminhcityhighlights.com. Take a look on my post for student guide with Saigon Hotpot. 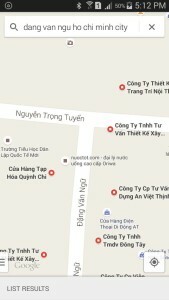 It has links to contact them.http://hochiminhcityhighlights.com/saigon-hotpot-rocks-free-guide-service. 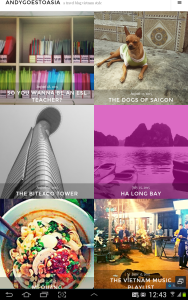 Also check out my self-guided walking tours, my tours page and take a read of the Insiders Views series for where expats who live here like to go and eat. There is a category of some of the main attractions. And lots of other articles on things around town. Just cruise around the website and I’m sure you’ll find something you like. Subscribe to my special offers and I’ll send you planning tools, safety tips and suggested itineraries.